Results from a recent study have unfortunately uncovered more bad news for Research in Motion, as it appears to have lost significant ground in the US. An 11 month study by ad network Chitka has found that BlackBerry devices saw a dramatic 25 percent slump in mobile traffic between September 2011 and July 2012 in the United States. RIM's share in the mobile web usage market also dropped, from five percent at the end of 2011, to just over one percent at the end of July 2012. BlackBerry has struggled in recent months, with the likes of Apple and Samsung stealing the mobile limelight, while its PlayBook tablet failed to live up to the expectations. 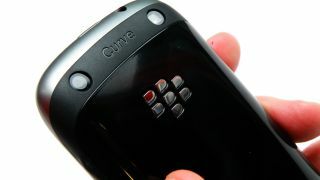 A Chitka analyst said: "A widely shared belief is that RIM's lackluster response to the iPhone was a critical mistake that cost BlackBerry its top market position late last decade." The results from this study are not hugely surprising, as RIM is in a period of transition as it readies its BlackBerry 10 platform for a launch at the start of 2013 – which is hoped will re-ignite the Canadian firm's fortunes and stop them from potentially selling off the business. We've contacted RIM about these latest findings, and we'll update this article once we hear back.